Slice Twinkies lengthwise and put cream side up in a 9 x 13 pan. Mix pudding according to directions, add strawberry dip mix and stir together well. Let thicken for 5 minutes or so. Spread pudding mix evenly over the top of Twinkies. Chill for 3-4 hours. 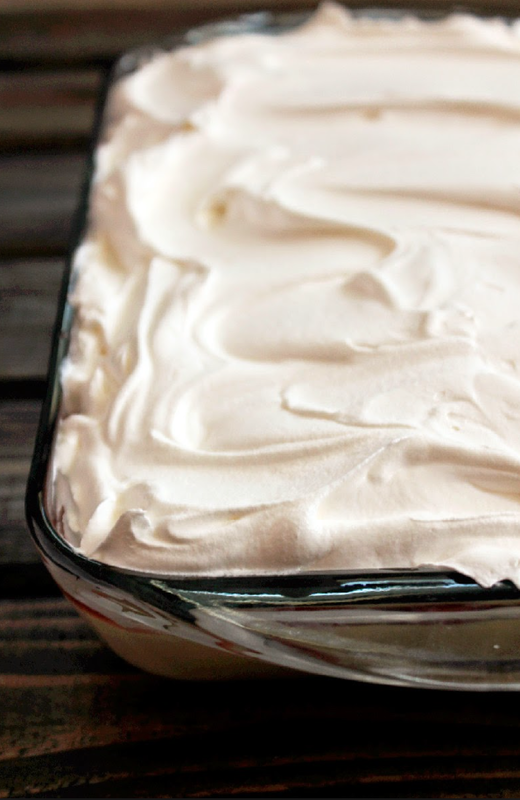 Spread on Cool Whip layer before serving. Garnish with Brownie Brittle* crumbles, strawberry slices or mini chocolate chips for garnish on top and serve. Any of our fruity dip mixes can be substituted for the strawberry! *Dip Mixes and Brownie Brittle available at Adrian’s Boutique!